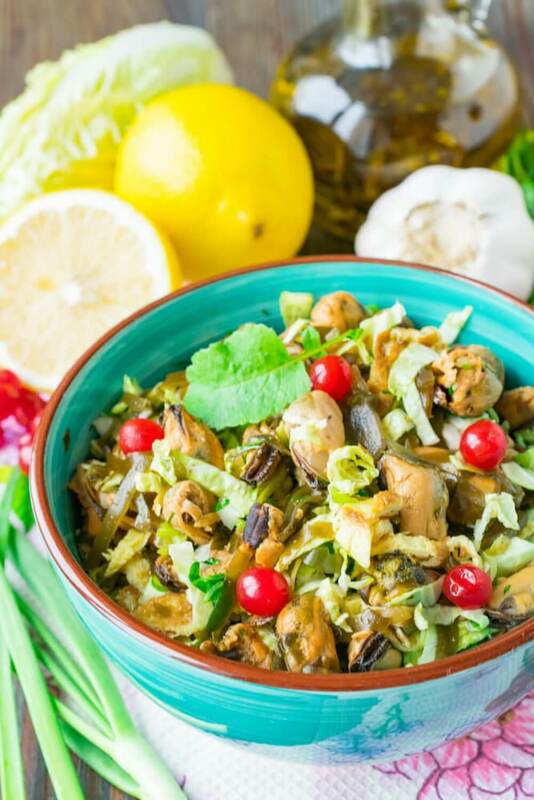 Original salad from marinated mussels and the Napa cabbage is suitable both for the daily menu, and for a holiday table. This recipe will be appreciated by fans of seafood and also fans of dietary food. 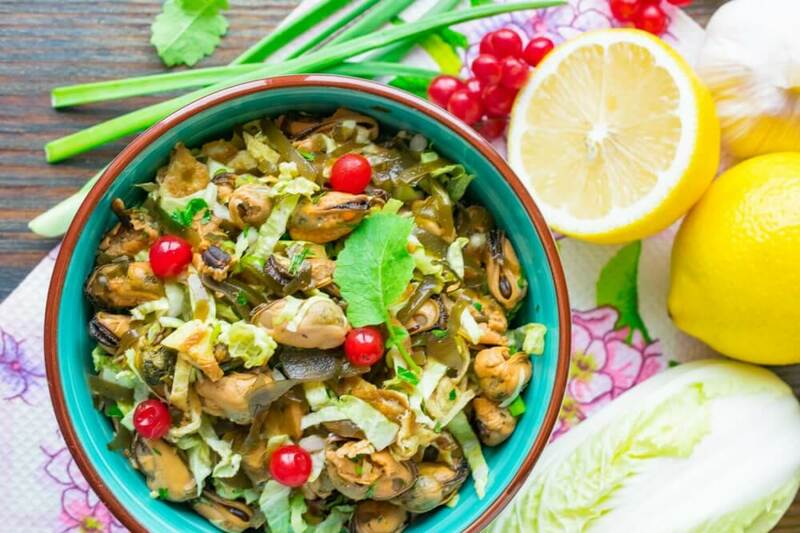 Salad with mussels isn’t only tasty, but also healthy. 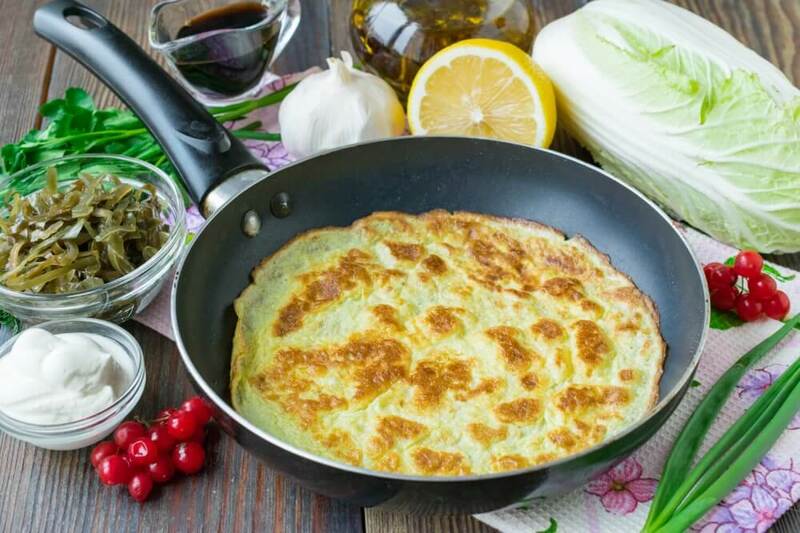 In addition to seafood, the Napa cabbage, seaweed and egg pancakes are its parts. 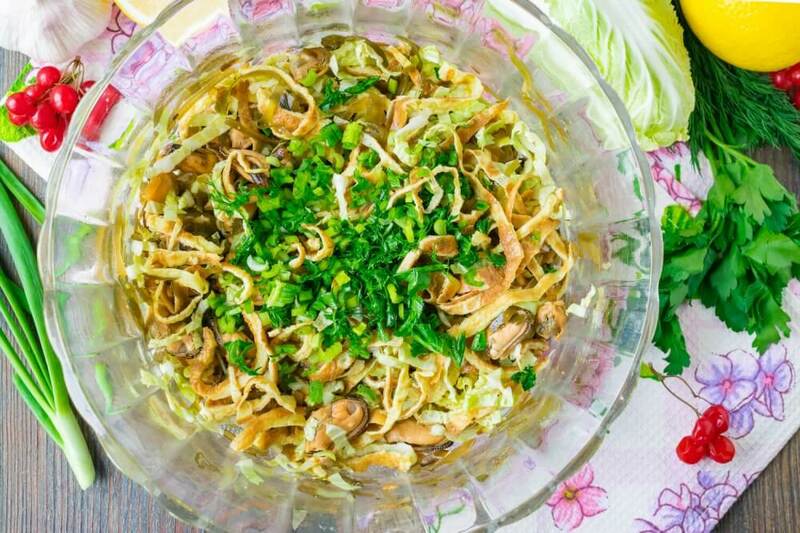 Such unusual combination of ingredients makes salad light and refined. 1. Combine 2 eggs, sour cream, a pinch of salt and ground turmeric in deep ware. Whip blend with wire whisk to homogeneous consistence. 2. On the warmed oiled with olive oil frying pan pour one third of egg blend. Rotating a frying pan with circular motions, evenly distribute egg blend on all surface. 3. When egg pancake is reddened on the one side, accurately turn it on other side and bring to readiness. Thus make 3 egg pancakes. 4. 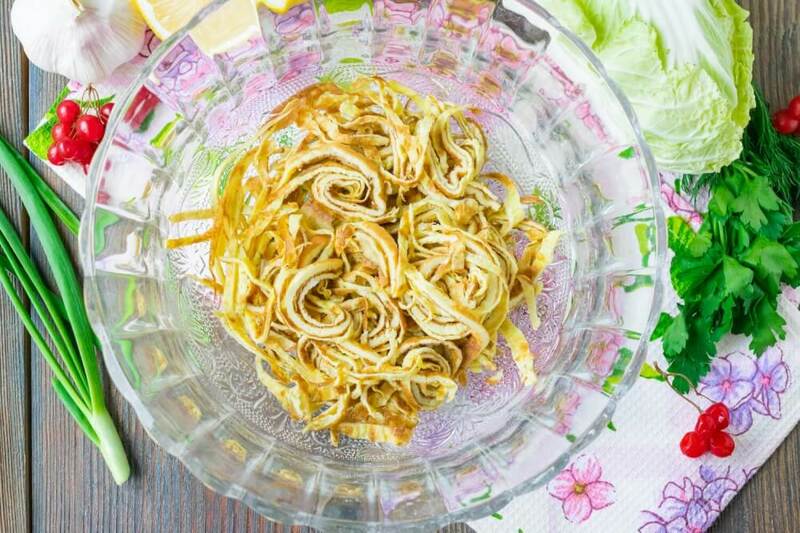 Cool down egg pancakes to room temperature, curtail them into roll and cut into thin straws. 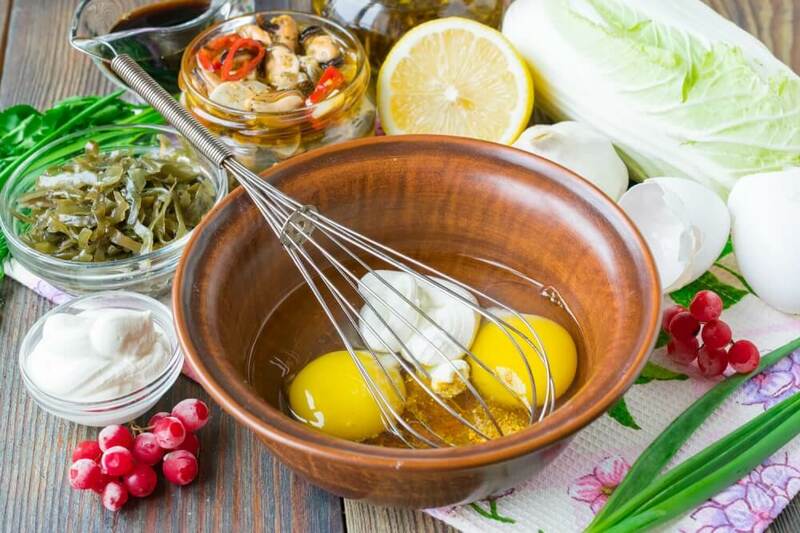 Shift the cut egg pancakes in a deep salad bowl. 5. Cut off the rough basis of the Napa cabbage, cut leaves into thin straws. 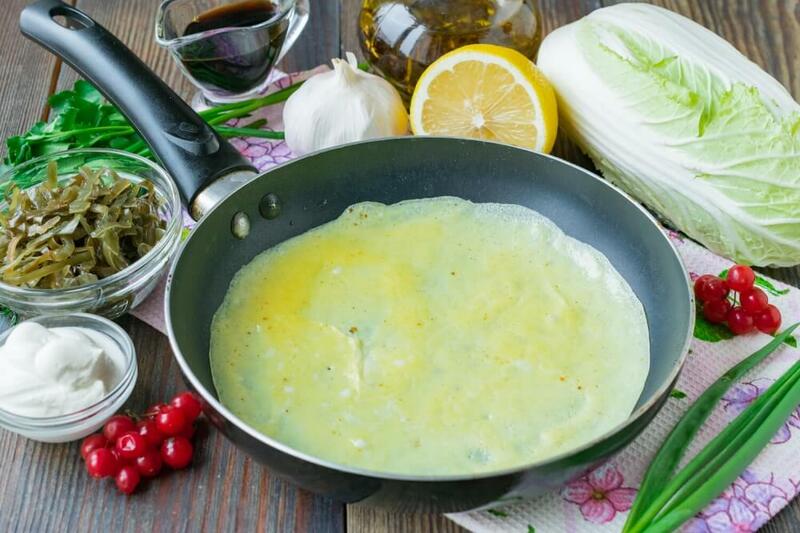 Add the Napa cabbage to egg pancakes. 6. 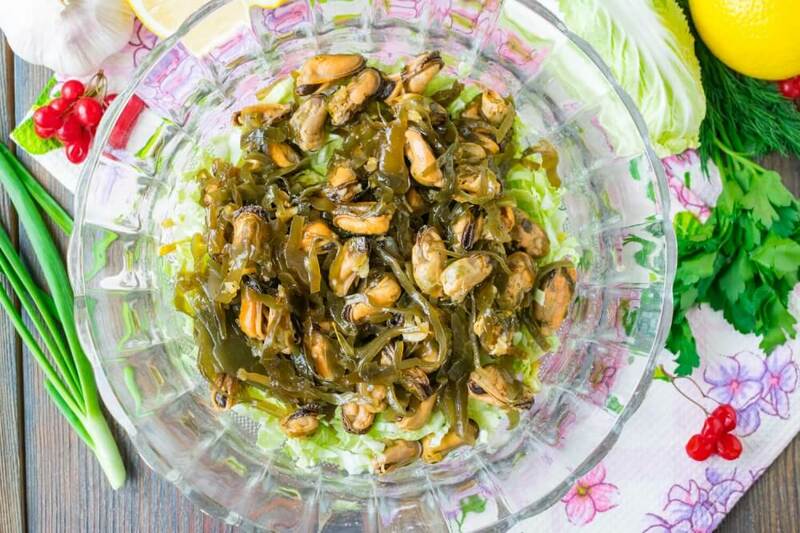 Filter marinated mussels and sea cabbage from marinade. Combine seafood and sea cabbage with two pressed garlic gloves. 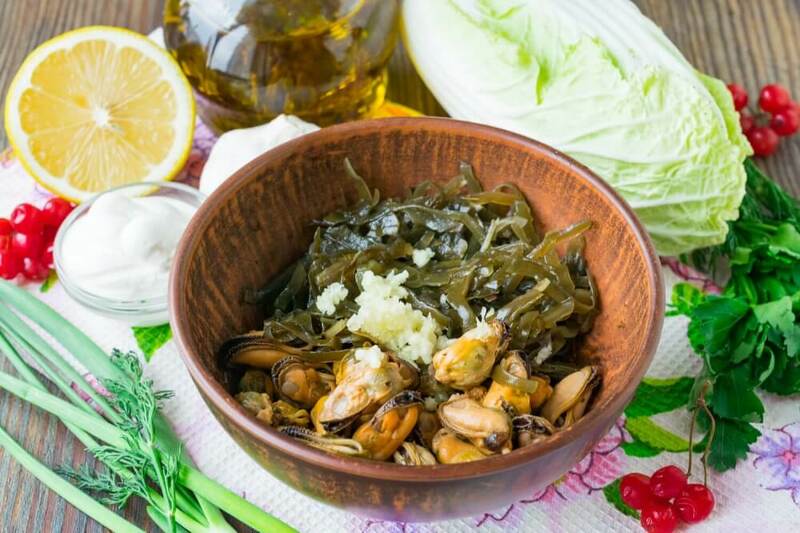 Water blend with soy sauce, mix and leave for 10-15 minutes so that mussels and sea cabbage become impregnated with aroma of garlic. 7. Then add mussel with sea cabbage to a salad bowl to other ingredients. 8. 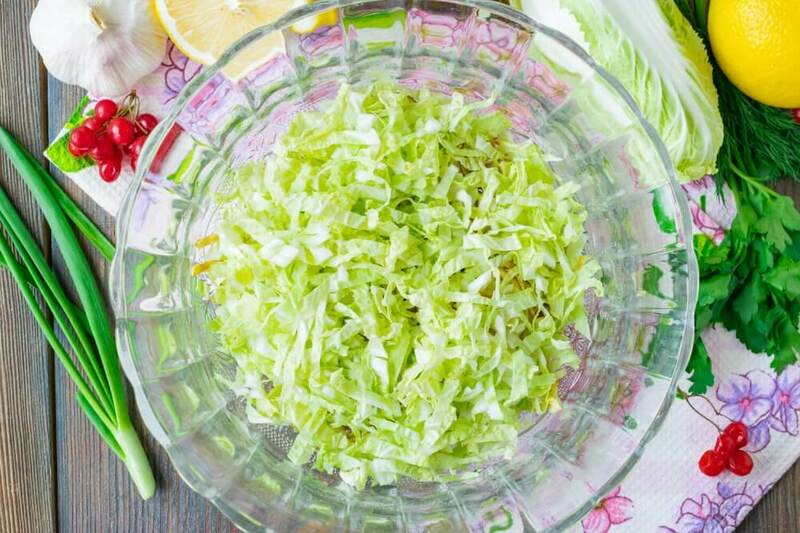 Sprinkle salad with lemon juice. Add small chopped fresh greenery. I used dill, parsley and feathers of green onions. Accurately mix all ingredients. 9. Taste salad. If necessary add a little salt or black ground pepper. 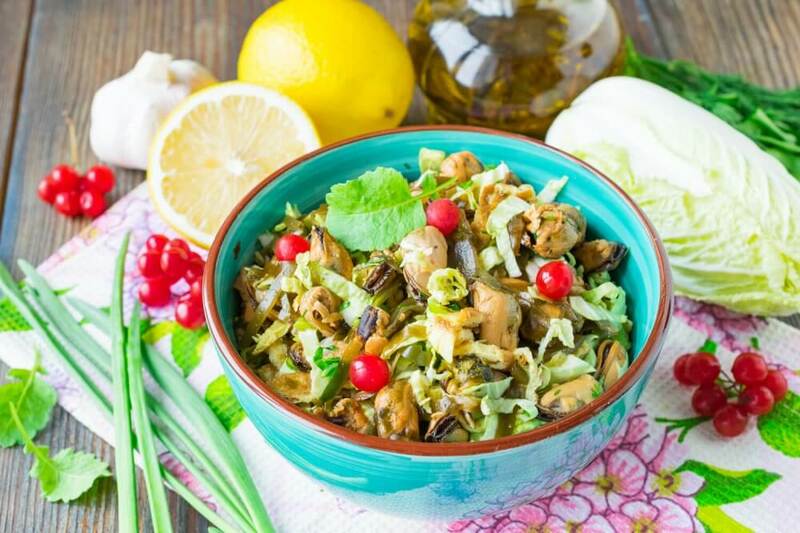 Ready-made salad with mussels and the Napa cabbage can be served right after preparation. For decoration of salad, use fresh greenery and berries of a cranberry or a guelder-rose.